Interested in studying at Nottingham Trent University (NTU)? 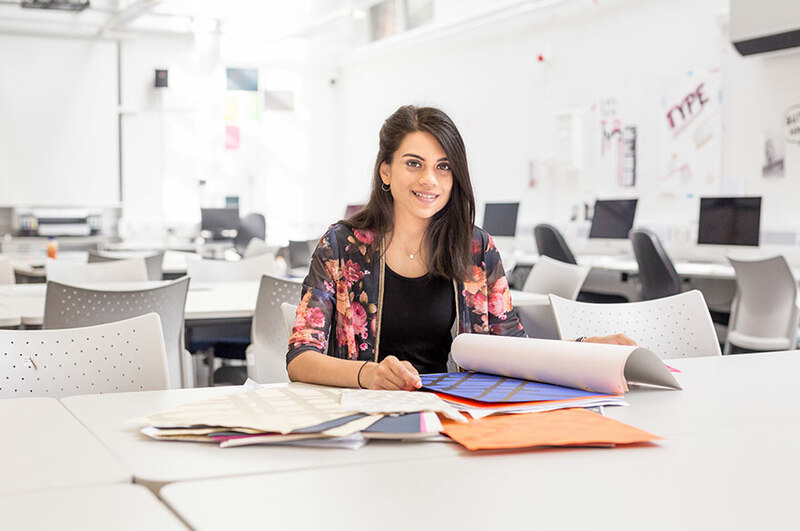 On this page, we’ve included everything you’ll need to know – meet NTU’s Representative for India, learn about our entry requirements, and get a taste of what it’s like to live and learn in Nottingham. We are delighted you’re considering studying with us. There are three representatives for India who can help to answer your questions about applying and studying at NTU. 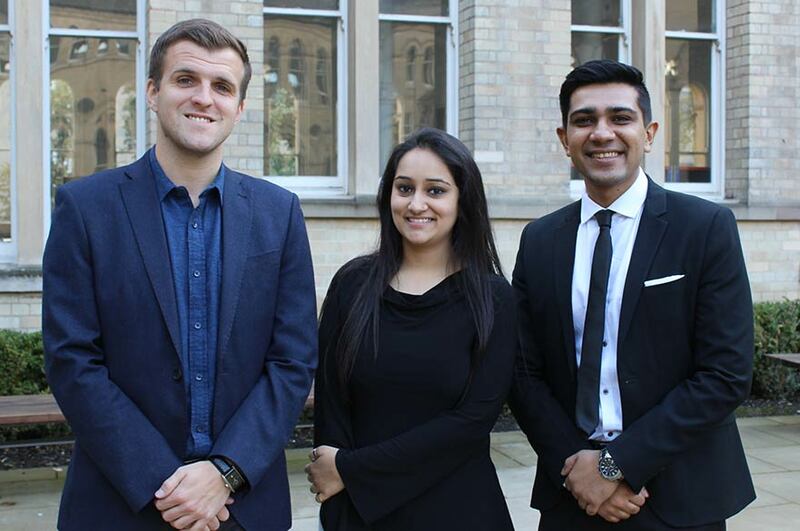 Rishi Pokar is based in Bombay, Shruti Jaggi in Dehli and Mirza Mujic is in our Nottingham office. We all travel around India to meet students and their families. We also host social activities for NTU alumni here in India so we’d love to hear from you if you’ve studied at the University. If you’d like to keep in touch please register with us and we’ll send you updates on what’s happening at the University and details of our visit schedule. Meet NTU representatives, Shruti Jaggi and Ella Davis at education fairs. Shruti and Ella will be able tell you about our courses, entry requirements and about the scholarships that you can apply for. They can also answer any other questions that you might have about studying at NTU. For information on when they will be visiting Ahmedabad, please see their schedule below. Meet NTU representatives for India, Shruti Jaggi and Rishi Pokar. Shruti and Rishi will be able tell you about our courses, entry requirements and about the scholarships that you can apply for. They can also answer any other questions that you might have about studying at NTU. Meet NTU representative for India, Rishi Pokar at this education fair. Rishi will be able tell you about our courses, entry requirements and about the scholarships that you can apply for. He can also answer any other questions that you might have about studying at NTU. Meet NTU representative for India, Shruti Jaggi. They will be able tell you about our courses, entry requirements and about the scholarships that you can apply for. Shruti can also answer any other questions that you might have about studying at NTU. Meet NTU representative for India, Shruti Jaggi at this education fair. Shruti will be able tell you about our courses, entry requirements and about the scholarships that you can apply for. She can also answer any other questions that you might have about studying at NTU. Meet NTU representative Rishi Pokar in Jaipur. Rishi can advise on entry requirements, the application process, and life at NTU. They can also answer any questions you might have about studying in the UK. Meet NTU representative for India, Rishi Pokar at the below education fairs. Rishi will be able tell you about our courses, entry requirements and about the scholarships that you can apply for. He can also answer any other questions that you might have about studying at NTU. Meet NTU representatives for India, Rishi Pokar at the following education fair in Mumbai. They will be able tell you about our courses, entry requirements and about the scholarships that you can apply for. He can also answer any other questions that you might have about studying at NTU. Meet NTU representative for India, Shruti Jaggi at this education fair in Raipur. Shruti will be able tell you about our courses, entry requirements and about the scholarships that you can apply for. She can also answer any other questions that you might have about studying at NTU. Location: Please contact +91 712 222 2061 for further details on this event. Meet NTU representative Rishi Pokar and Ella Davis in Pune. They will be able tell you about our courses, entry requirements and about the scholarships that you can apply for. They can also answer any other questions that you might have about studying at NTU. Meet NTU representative Rishi Pokar in Vadodara. Rishi can advise on entry requirements, the application process, and life at NTU. He can also answer any questions you might have about studying in the UK. Please contact +91 8905570642 for further information on this event. Meet NTU representatives for India, Shruti Jaggi. Shruti will be able tell you about our courses, entry requirements and about the scholarships that you can apply for. Shruti can also answer any other questions that you might have about studying at NTU. Meet NTU representative, Shruti Jaggi at this education fair. Shruti will be able tell you about our courses, entry requirements and about the scholarships that you can apply for. She can also answer any other questions that you might have about studying at NTU. "My tutors were amazing. They were genuinely interested in our projects, and went out of their way to help us. They constantly pushed us to try new things, and were incredibly supportive throughout." NTU is an excellent university, and Nottingham is a wonderful city. But don’t take our word for it – this video featuring our students brings the NTU experience to life. Students take us through their journey of applying for a visa to study in the UK. Grades of 55% (2.1), 50% (2.2) from the University of Mumbai, University of Kolkata and University of Delhi. A degree from the following universities: The University of Mumbai, The University of Delhi, The University of Calcutta, The University of Bangalore, The University of Pune, The University of Chennai (Madras), Anna University, Osmania University, The University of Goa.